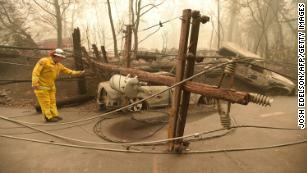 Federal judge wants California utility to explain its role in the Camp Fire and other wildfiresThe electric utility had disclosed in a regulatory filing last month that it “experienced an outage” on a transmission line in Butte County about 15 minutes before the wildfire began but had not released additional details.PG&E said in its Tuesday letter that inspectors later discovered that a hook connecting part of the transmission line and the transmission tower was broken. They also found a flash mark on the tower.The company also detailed a second outage at another location. That incident was reported a few miles away from the first outage and about 15 minutes after the wildfire started.When crews went to check the outage a day later, the letter states, they “observed that the pole and other equipment was on the ground with bullets and bullet holes at the break point of the pole and on the equipment.”Meredith E. Allen, PG&E’s senior director of regulatory relations, explained that details about the incidents are preliminary and they remain under investigation. 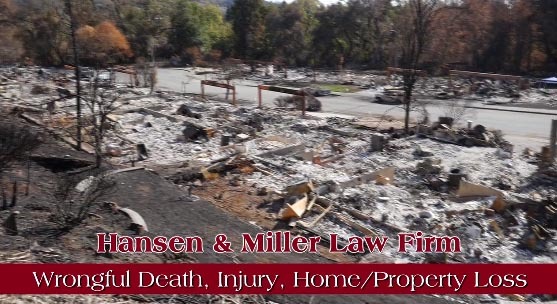 PG&E could be in big financial trouble if it’s found liable for California’s Camp Fire“The cause of these incidents has not been determined and may not be fully understood until additional information becomes available, including information that can only be obtained through examination and testing of the equipment retained by CAL FIRE,” Allen wrote to regulators.The Camp Fire burned through more than 153,000 acres in Butte County, killing at least 85 people and destroying thousands of structures. It was contained November 25 after becoming the deadliest and most destructive wildfire in California history.Cal Fire, the state’s forestry and fire protection agency, has said the cause of the Camp Fire is still under investigation.On Tuesday, PG&E said “the loss of life, homes and businesses in the Camp Fire is truly devastating.””Our focus continues to be on assessing our infrastructure to further enhance safety, restoring electric and gas service where possible, and helping customers begin to recover and rebuild. 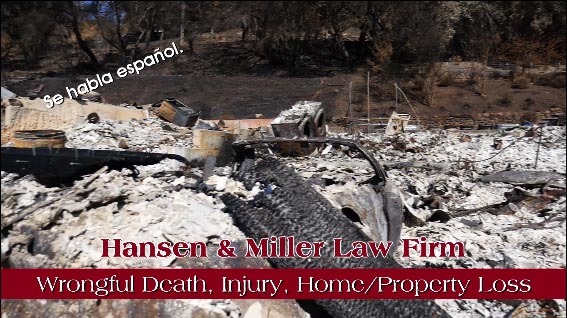 Throughout our service area, we are committed to doing everything we can to further reduce the risk of wildfire,” the company said in a statement.PG&E made its findings public weeks after a federal judge ordered the company to explain any potential role it played in causing the deadly Camp Fire and any other major wildfires in the state.The company has until Dec. 31 to submit written answers to federal officials, according to court documents. CNN’s Joe Sutton and Blair Johnson contributed to this report.